When did you last replace your mattress to improve your relationship with sleep? 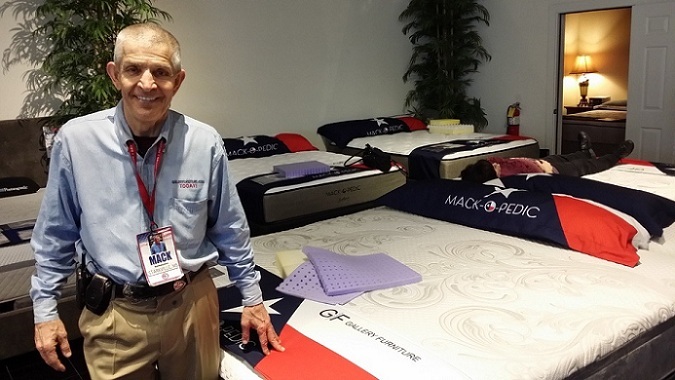 Gallery Furniture owner, Jim McIngvale, affectionately known as Mattress Mack by millions of loyal customers and fans, released his very own ultimate sleep accessory last year, the Mack-O-Pedic sleep system. 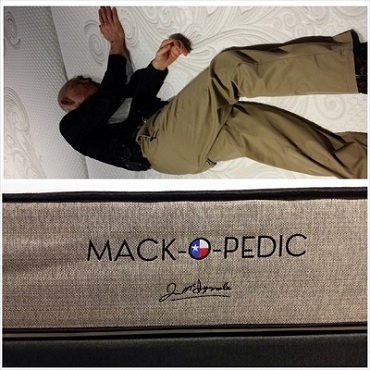 Certified by the Sleep to Live Institute after being thoroughly tested for high-quality, durability, longevity, support, and comfort, the Mack-O-Pedic is truly a dream come true for Mack after accumulating more than 30 years of experience in the furniture business and shopping around the world for the best manufacturers to help get the job the done. With an incredible 12 different styles available, the Mack-O-Pedic perfectly encourages deeper sleep as each component of the mattress comes together to keep you cool throughout the entire night. Equipped with more than 2 pounds of gel infused memory foam and a top of the line ventilation system, this is one mattress you can trust to beat the Texas heat! As you climb into bed each night, the mattress releases air and collects fresh air when get up in the mornings, keeping a much needed continuous flow of air. 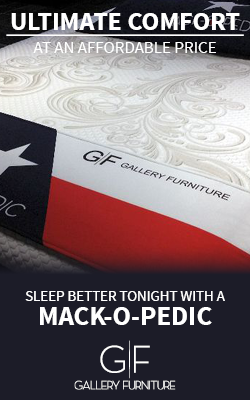 “There’s nothing on the market right now that is as unique and dependable as the Mack-O-Pedic,” Gallery Furniture Sleep Expert, Brandon Jackson recently informed us. It is the only in-store product with Mack’s name on it, that’s how significant it is. All the materials used to create each Mack-O-Pedic are free of chemicals, with some versions of the mattress containing graphite to help improve the feeling of the mattress and put an end to the “new mattress smell” a lot quicker. The two and half inch thick blanket of dense soft material within the mattress is like sleeping on a goose down comforter without the lumps. 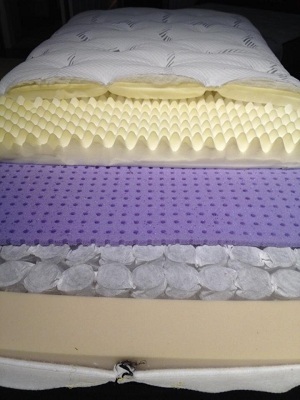 Convoluted foam, often used on hospitals to relieve pressure, also makes the mattress feel as though you are sleeping on a cloud. 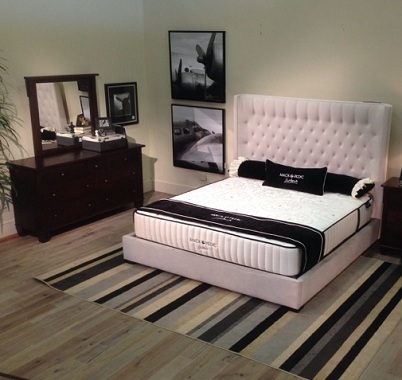 While the average queen size bed features about 600-800 coils, the Mack-O-Pedic queen bed has 1,030 individual coils to create a pressure free sleep with your weight equally distributed across the mattress. As Jackson tells us, “More steel, more support,” is the way to go to make sure each pressure point is supported. Over-built to provide the best value, compared to any product you can get from other retailers, the Mack-O-Pedic is getting amazing reviews and is a step in the right direction to improve your life through better sleep. Visit Gallery Furniture at 6006 N. Freeway, 7227 W. Grand Parkway, or 2411 Post Oak to test out this life-changing sleep system TODAY! What Are Healthy People Doing Before Bed?